It is made out of MS -“L” Angle support (50 x 50 x 3mm thick) and trays are covered with 16 gauge MS sheet. Provide 6” x 2” / 8” x 2” swivel and fixed type wheels for smooth moving. 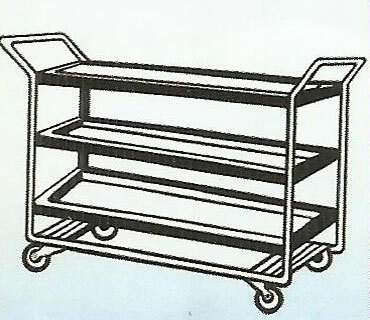 It is having TWO or THREE tray type models..